The Monarch "AeroMaxx Series" Air-Powered Hockey Table's design is as sleek and smooth as the puck that will glide over it. 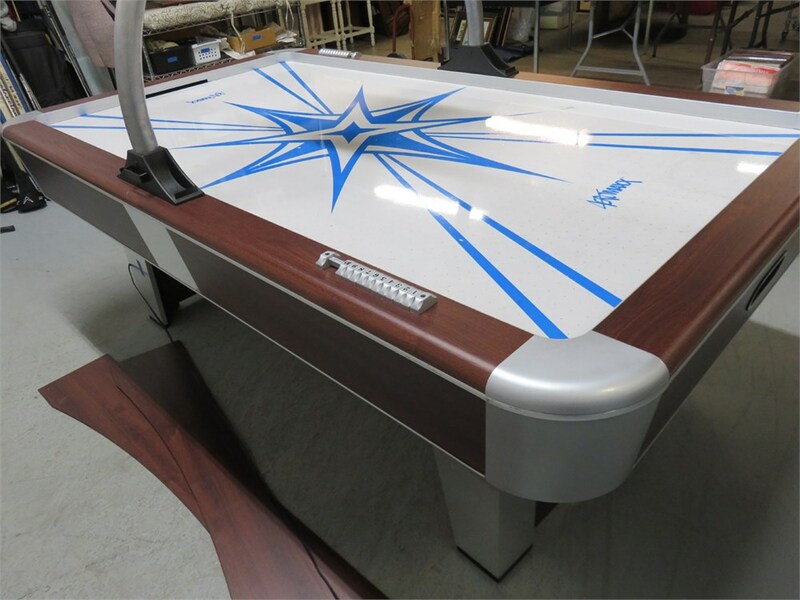 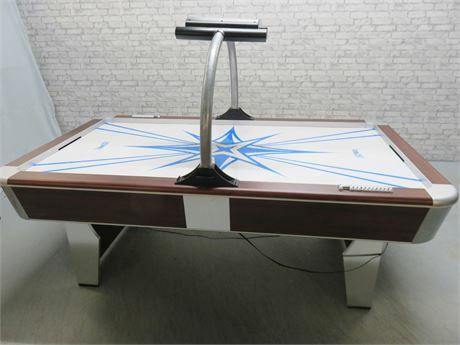 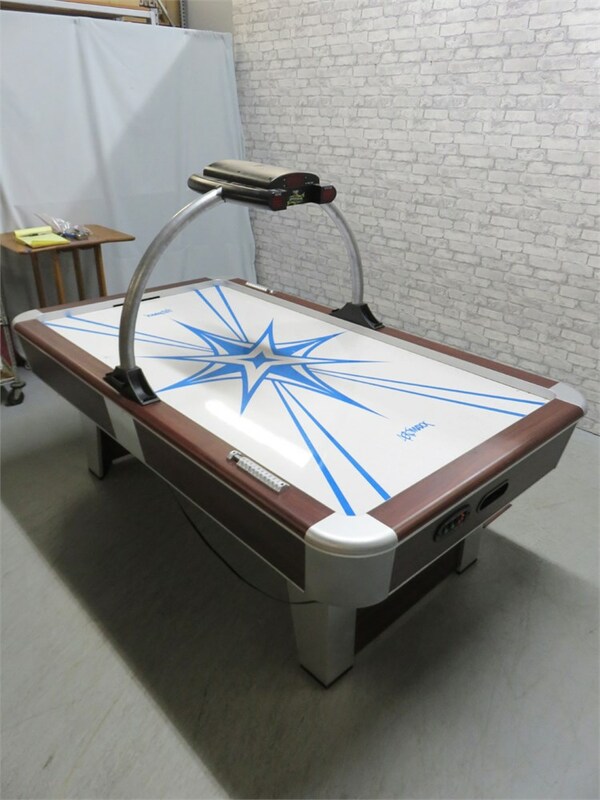 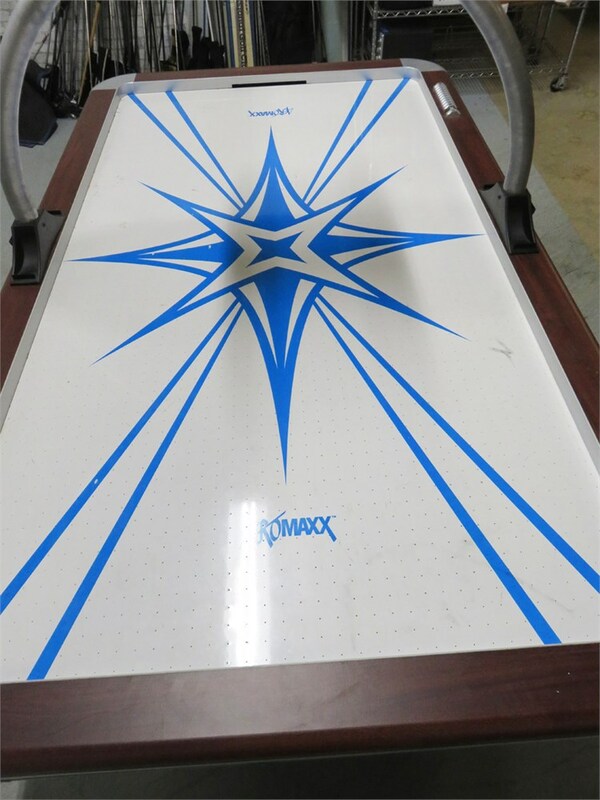 This table features a unique overhead arch with a two-player electronic scorer. 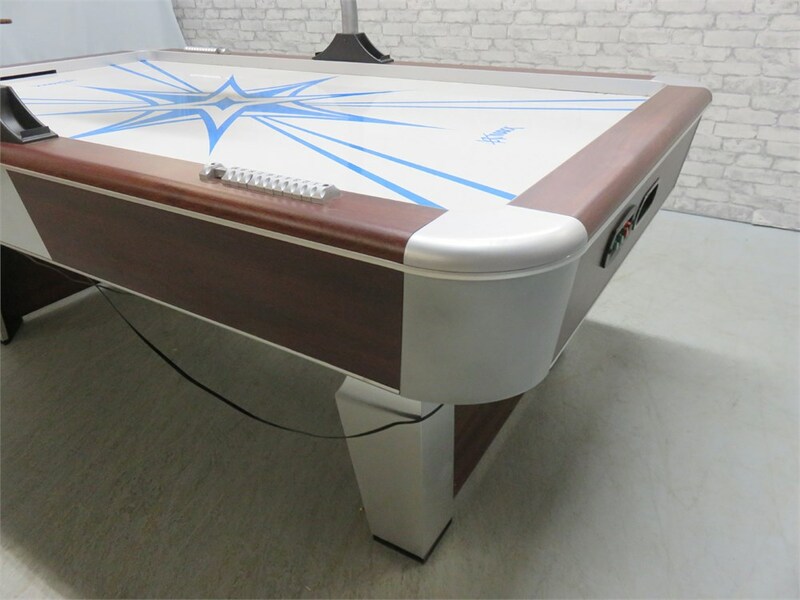 The cherry-finished cabinet has silver caps and trim, supplementary manual scorers on each side of the deep playing surface, and a screenprinted starburst design. 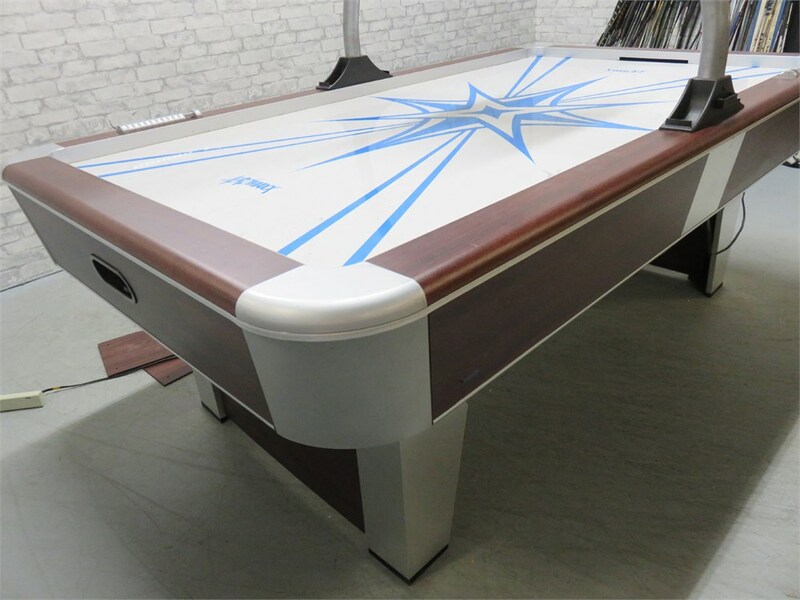 *Goalie hand paddles are not included and there is only one puck. 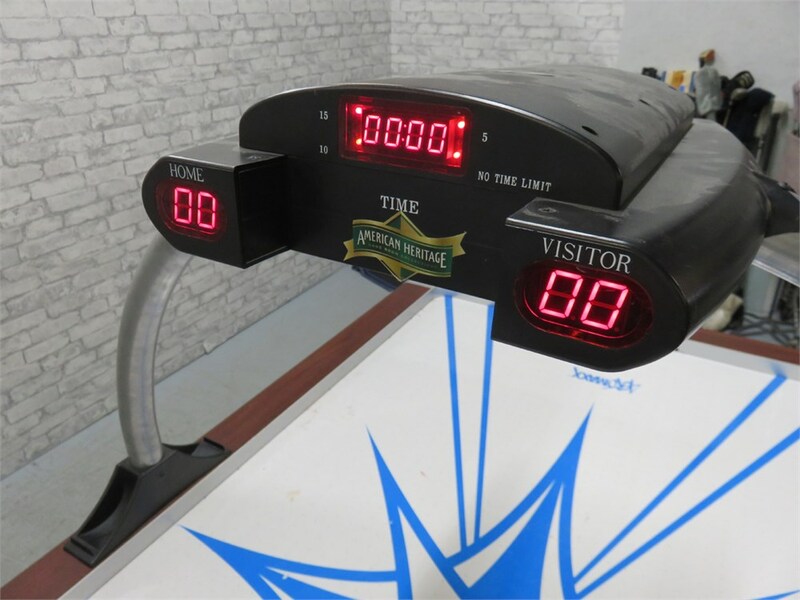 Replacement paddles and pucks are available online or at various retail outlets.